We ate breakfast out this morning. David had to get his annual bloodwork done, and so we met him at Perkin’s afterwards. It’s like Tippins? (Isn’t that what it was called in Tulsa?) Place that has lots of pies. Davey had Rainbow Pancakes. It does not get much better for him than a pancake with sprinkles and whipped cream. 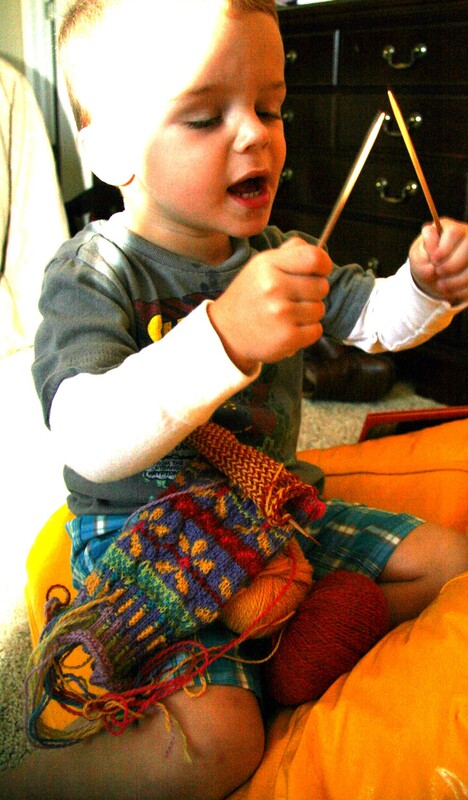 I am knitting more again. I am on the heel flap of my second sock. 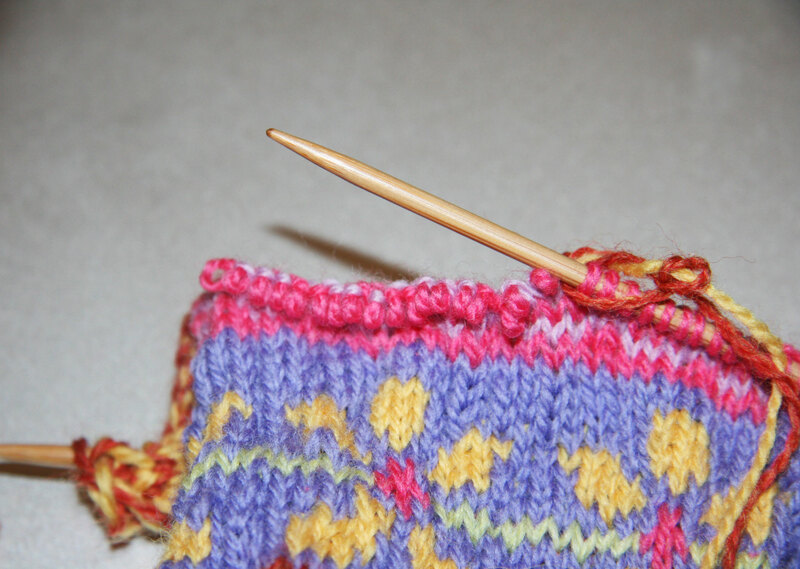 The heel flap requires twining, so it is going kind of slow. I got the bright idea to take a picture with Davey holding the sock for me. Can you tell already that this might not be a good idea? 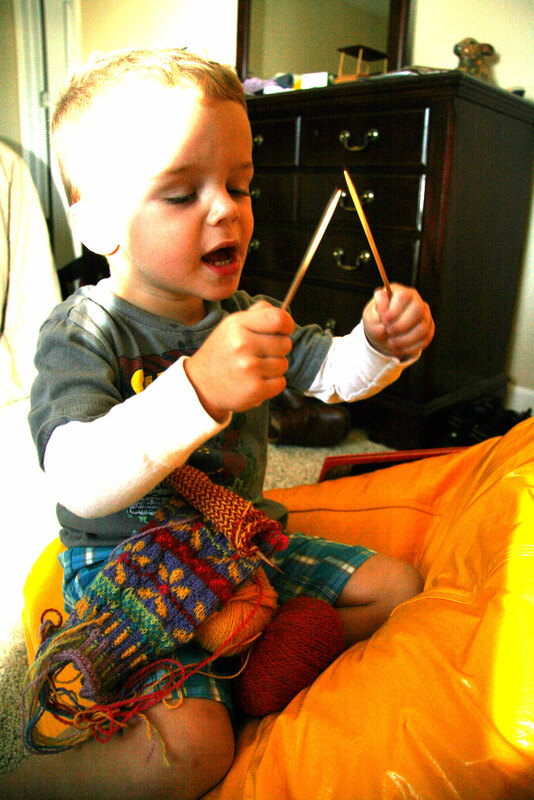 When I handed him my sock, there were 3 needles in the sock and 1 needle that was for knitting. It was time to act fast. See all the lonely loops in need of a needle? I was left with a little repair work, but not a stitch was dropped and all was well. Happy Thursday! It is time to decorate! oh no!! but I’m glad you were able to pick up all the stitches! I have not used the Dream in Color Starry before so I look forward to trying it. I have used the Cocoa Beach Yarn Scooby for two other pair of socks and I like it. I haven’t had a chance to wear them yet (still too warm here) so I don’t know how well the yarn holds up with wear. 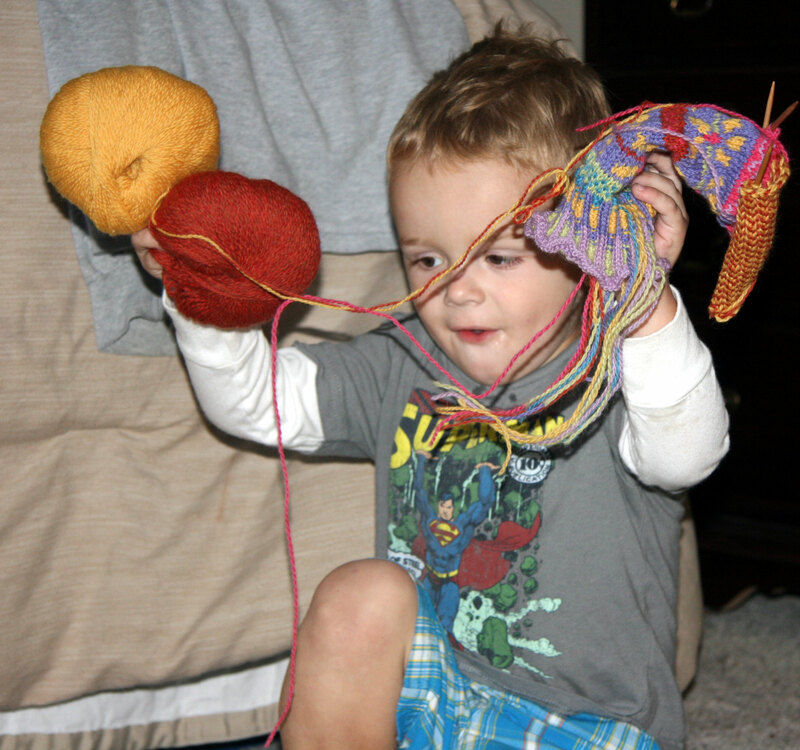 I panic if my wee girl comes within six feet of my knitting. Those dpns are just far too tempting!.